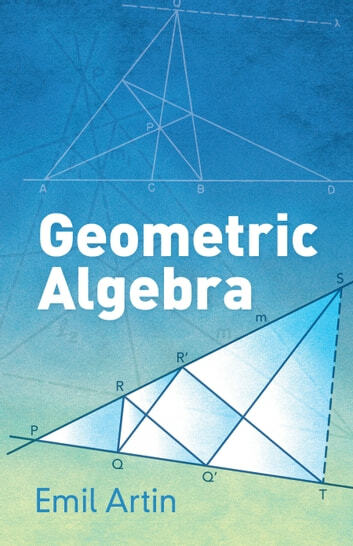 This concise classic presents advanced undergraduates and graduate students in mathematics with an overview of geometric algebra. The text originated with lecture notes from a New York University course taught by Emil Artin, one of the preeminent mathematicians of the twentieth century. 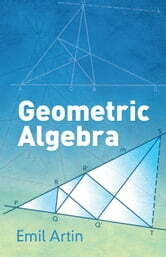 The Bulletin of the American Mathematical Society praised Geometric Algebra upon its initial publication, noting that "mathematicians will find on many pages ample evidence of the author's ability to penetrate a subject and to present material in a particularly elegant manner." Chapter 1 serves as reference, consisting of the proofs of certain isolated algebraic theorems. Subsequent chapters explore affine and projective geometry, symplectic and orthogonal geometry, the general linear group, and the structure of symplectic and orthogonal groups. The author offers suggestions for the use of this book, which concludes with a bibliography and index.